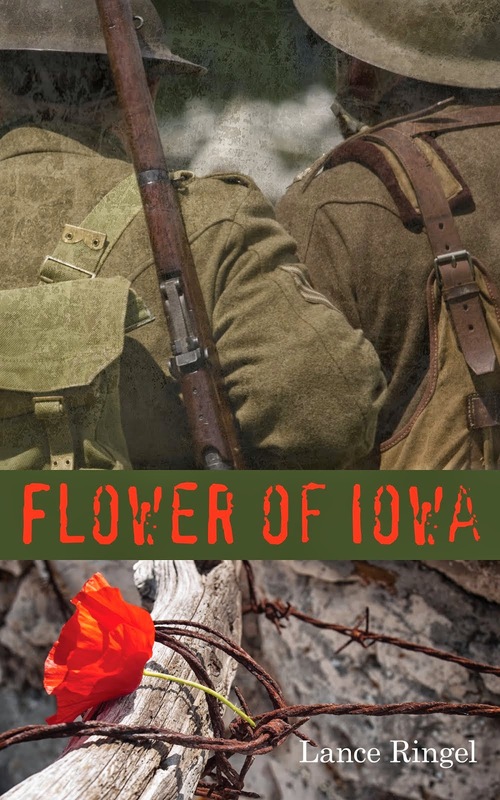 On Monday, October 13, Lance Ringel and Chuck Muckle brought their Flower of Iowa fall book tour to the Cleveland area in a pair of readings. The first took place at the LGBT Community Center of Greater Cleveland. 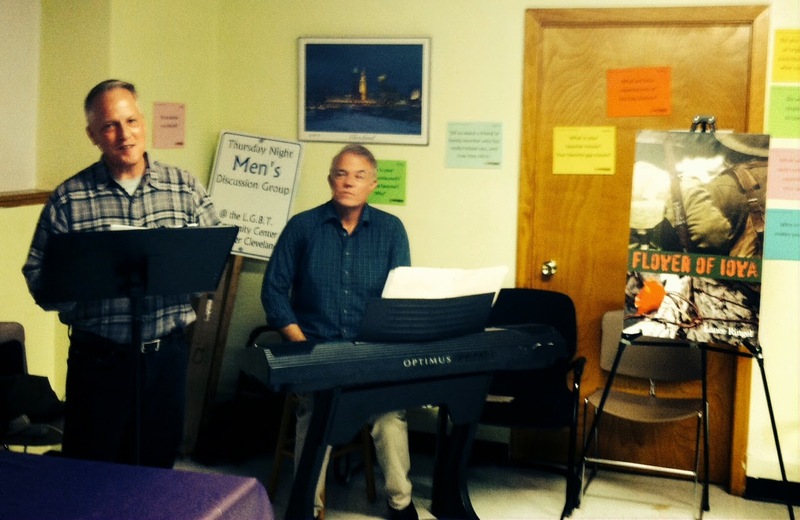 Ringel and Muckle’s words-and-music presentation “Gay in the Great War,” program occurred in conjunction with the Center’s Senior Drop-In during the lunchtime hour. That evening, Lance and Chuck performed their dramatized reading with music at the private home of a longtime friend in nearby Huron, Ohio. 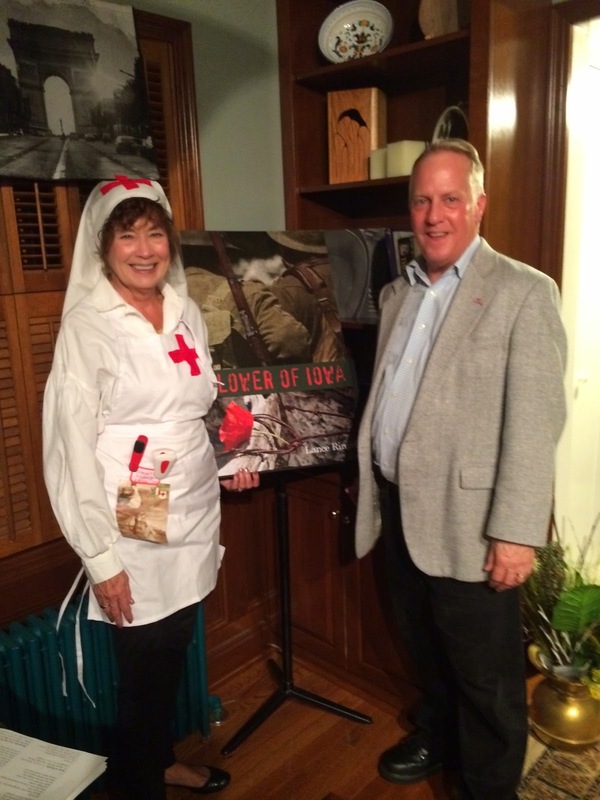 One guest delighted those in attendance by dressing authentically as a Great War nurse. Ringel and Muckle will give six more presentations through October and November, including a private reading date in London. 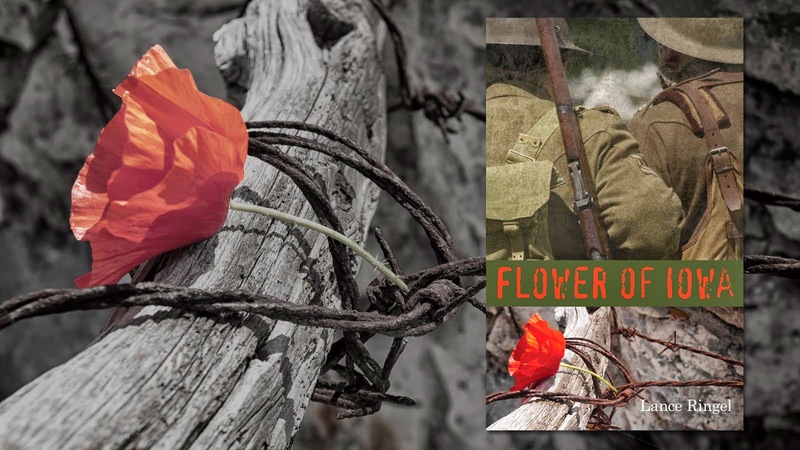 The tour concludes in Ringel’s hometown of Poughkeepsie, NY, with a November 10 reading with music on the eve of Veteran’s Day.